The new PlayStation 4 (PS4) Dual Blu-ray Disc pack will become available in the Philippines starting January 17, 2019. The lineup include a choice selection of previously released best-selling PS4 software titles. Retailing for P2,699, the PS4 Masterpiece Pack comes with the Game of the Year title, God of War. The critically acclaimed title Detroit: Become Human si also part of the bundle. 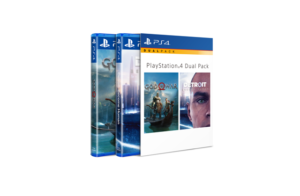 The PS4 Masterpiece Pack is one of the new offerings from Sony Interactive Entertainment Hong Kong Limited Singapore Branch (SIES) for the month here in the Philippines. Refcently, SEIS also announced the arrival of the PlayStation 4 Pro Kingdom Hearts III Limited Edition this January.